SPRINGFIELD, Mass. 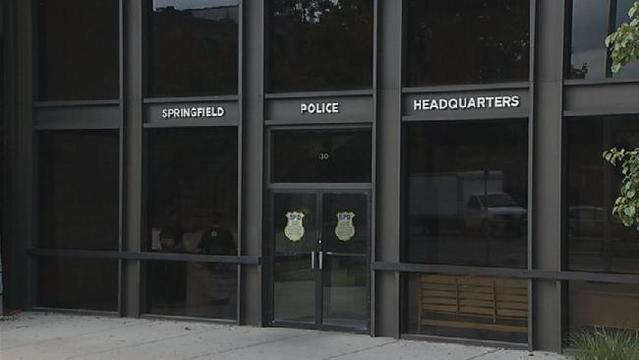 (WWLP) - A group of off-duty Springfield police officers are accused of attacking four unarmed black men outside a bar and an attorney claims the police who responded tried to cover it up. A disciplinary hearing for the officers is pending and the District Attorney's office is reviewing this case for potential criminal charges. The incident in question happened back in April 2015. Paul Cumby, Jackie Ligon, Jozelle Ligon and Michael Cintron allege that 8 to 10 off-duty cops jumped them in a parking lot on Island Pond Road in Springfield. The attorney for the Ligon's and Cintron told the I-Team that the dispute started when one of his clients whistled at the bartender. Attorney Joe Smith said, in an attempt to get a drink. Attorney Smith says one of the off-duty police officers took offense, because the bartender may have been his girlfriend, and became physically aggressive. Later that night, his clients allege they were attacked and a baton and taser gun was used during the melee. Cumby had his teeth knocked loose, suffered a broken leg and a concussion, said Smith. Attorney Michelle Cruz is representing Cumby. Attorney Smith told 22News he believes the responding officers tried to cover this up. "It's well known that uniformed officers arrived to the scene, in their report they say these men received minor injuries, we know that the officers who carried out this attack were still at the bar, we don't have any report or any arrest on scene. This incident report clearly shows a bias and these gentlemen or their claim was dismissed," said Smith. The 22News I-Team uncovered a Springfield Police Community Hearing Board report that showed a January 22nd date of review for the incident outside Nathan Bill's. Board member, Albert Tranghese sustained the allegations, meaning the board can move forward to a hearing. The complaint in the report stated, "Complainant and his friends were "jumped by about ten dudes." He thinks some of them may have been off-duty police officers. Police who responded were not sympathetic." 22News I-Team found the names of the 12 police officers listed on that community police hearing board review; Officers A. Cicero, C. Cicero, I. Basovskiy, J. Rivas, N. Perez, D. Nguyen, Michael Rodriguez, Melissa Rodriguez, S. Lewis, J. D'Amour, D. Gentry-Mitchell, J. Diaz. It is unclear what if any role these officers had in the alleged attack. Springfield's city solicitor Ed Pikula told 22News the officers who were involved were given disciplinary letters and a hearing before the community police hearing board is pending. That hearing cannot take place until the Hampden County District Attorney's office completes their investigation. The D.A. 's office would only confirm an investigation is underway. Under civil service law, no officer can be suspended more than five days without a hearing, said Pikula. Pikula said it's not surprising that it's taken more than 15 months for this disciplinary hearing to happen. "Where so many officers are involved, it is not unusual that the investigation process, including obtaining records and the review as to potential criminal charges, can take a long time to sort out." Attorney Smith says it appears these police officers are receiving preferential treatment. "There's definitely criminal behavior, yet nothing has been done, said Attorney Smith. He continues, "the people who carry out the law enforcement in this community, the DA's (District Attorney's) office, the AG's (Attorney General's) office, the federal court system, has the opportunity to show the people of this community that they will not tolerate this sort of behavior of the people who are employed to serve and protect this community." Smith told 22News he plans on filing a civil lawsuit in the next few weeks and reiterated that his clients just want justice served on their behalf. "We'd like to give them the opportunity to make it right," said Smith.